it's Wednesday, which means Ash and I have no school. 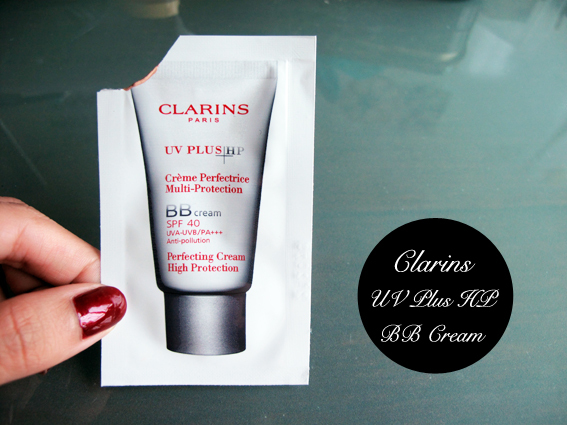 So I thought I'd put up a quick review here on the newest Clarins BB Cream on the market. I do not normally purchase BB Creams (ever since my fiasco with the Etude House one leaving me looking like an oil slick), and thus only got the sample. I must say the amount is quite generous because you only need so little for your whole face. The entire packet should be enough for at least 4-5 days usage. It is a new addition to their best-selling sunblocks, and claims to work the same way they do but with a better job at concealing flaws. Personally, I feel that this is quite an overkill because their beige (the 2nd from the left) sunblock already did that job. I am going to be honest here that I was very skeptical about this particular BB cream when it came out, mostly because I feel that way about most BB Creams; but more than not, it was because I did not think anything could really top their sunblock. I was right. Well, at least right to myself because I did not end up liking it. Click below to find out why. As mentioned, I only received the sample, and not the full bottle. Hence, I will not be giving any comment about the packaging. 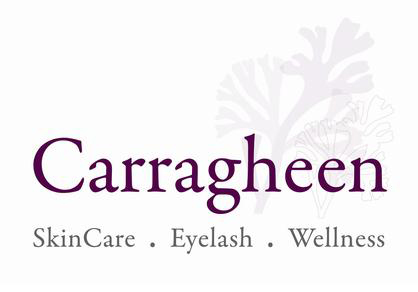 Makes for ideal and very natural-looking coverage, with any redness and blemishes disappearing immediately. The complexion remains perfectly even throughout the day. The skin is ideally protected. This BB cream feels the way you'd expect BB creams to - it is sticky (which already is a minus point for me) and feels very thick. Probably thicker than most, which might attribute to the online raves I've seen people giving about it having really good coverage. As you can see above, it sticks to my fingers as I pry them apart, which should give you a pretty good idea on the texture. 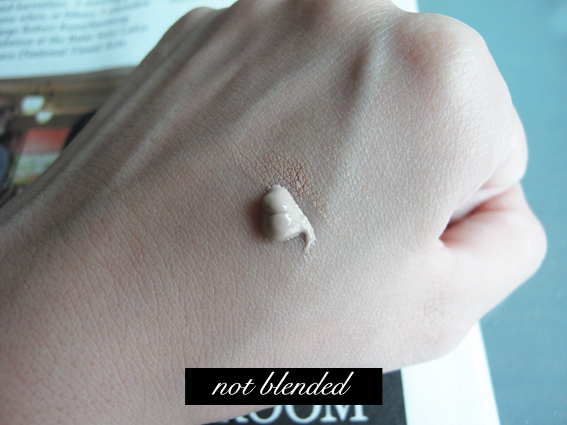 It isn't quite liquid like the Kiehl's one, definitely a lot creamier. If you can notice, it really goes on quite like a slab of cream rather than most liquid foundations do even. 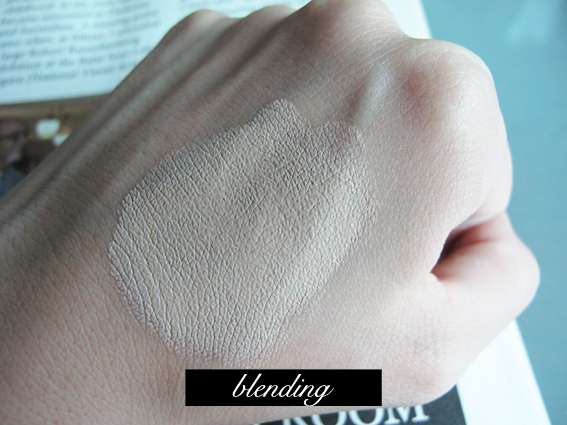 From the blending process it is apparent that it is more for a masking effect than just beautifying. The last picture at the bottom says it all to me. I can see so specifically where I put the BB cream, and I can notice the edges towards where it feathers out and ends. This bugs me because it reminds me of women who plaster their faces with incorrect colored foundations and look as though their heads got put on the wrong body. I am sure so many of you have noticed this; but being someone so particular about beauty, this really is a pet peeve. Singapore, or rather Asia, has only brought this in in one skin tone. I do not know why they would do that seeing as this is hardly as sheer as the sunblocks and would definitely rule out a wide range of users. Moreover, it oxidizes quite a bit. In the time span it took for me to post the previous photos above of my hand, it has already turned slightly orangey(!?!). I would show a photo but it doesn't appear as obvious on camera. Is blendability a word..? 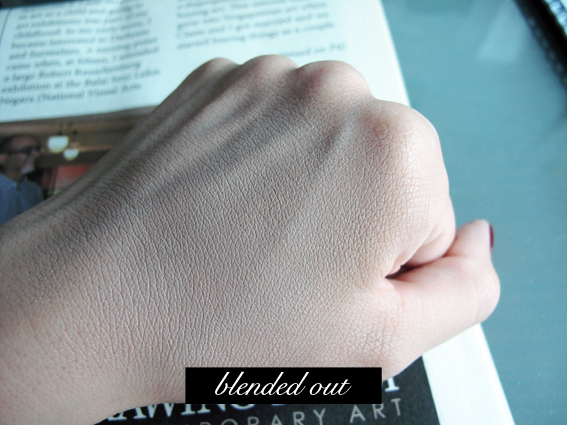 Okay that aside, I did not think this blended well, and that is from someone who uses a Beauty Blender. It could be because I am no aficionado of makeup, but I am sure it isn't supposed to be this difficult to blend. I thought it really settled on top of my skin rather than sink in and smoothen out. Here's some (!!! I am quite disgraced to show this) pictures of me using it in school. Photos are courtesy of Ashley. Yes the color tone is slightly off because it was raining outside and our classroom was slightly dark, but this is meant to feature more of the finish. I do not like these photos at all (how did my pores become even more visible!?) - and yet I do not think these depictions are that far off from how it really looked in real life. My pores really aren't this big and my face isn't this dry, but somehow the BB cream just managed to make it look that way. I wanted to like this, honestly. I know from my scathing review that it does not look that way but I really did. The Kiehl's one won me over so much that I thought this could replace it (since I mean, it is Clarins and the saleslady said it could be used to replace my sunblock version). The only pro I can think of is that I like the smell. That's it. The price is even more expensive than other better ones in the market.. which baffles me slightly. So this is it. My first bad review of anything I've ever used. Sorry Clarins, I did not mean for it to be this harsh, but I am a reviewer and I have to be honest. On the bright side, I LOVE THE SUNBLOCK. Kudos on that, best thing ever hands down. I would not consider products which made the pores more visible. Thanks for the honest review. It didnt work for me either! I tried the sample given by Clarins Malaysia. 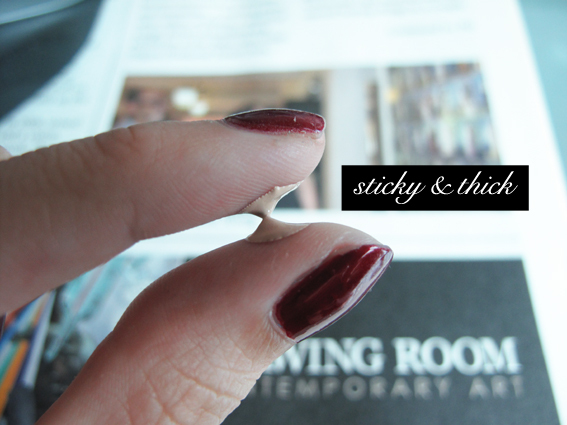 It was too thick and enhanced all of my skin's flaws! Curious to know about the European version that Clarins brought out. 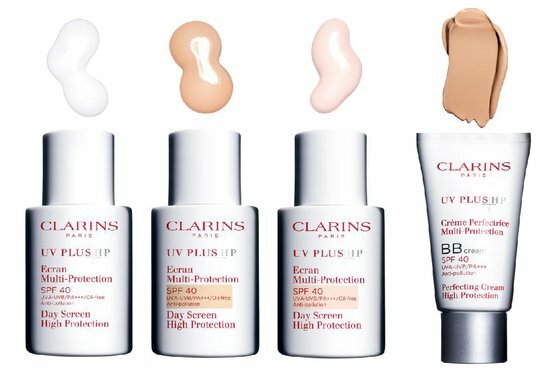 Clarins has always been on the top of my list when it comes to skin care products. 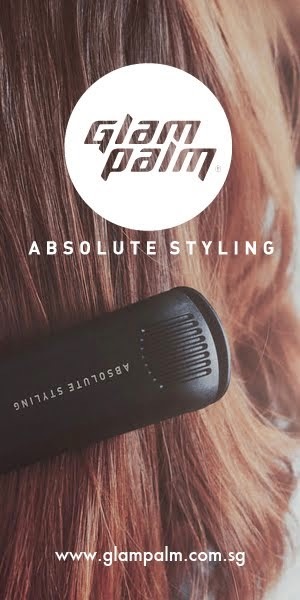 They have a wide range and all their products are awesome. I have been using their UV BB cream and it works like magic. Love it.